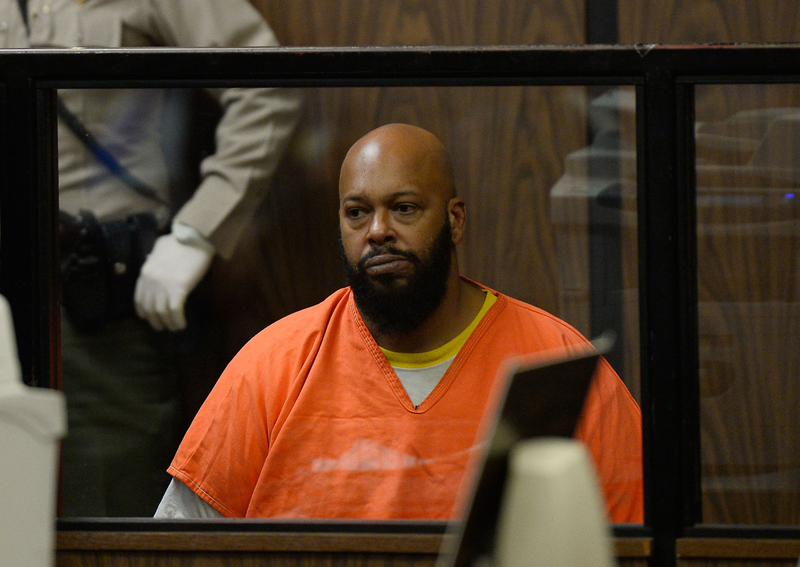 After being arrested in a fatal hit and run on Friday, Jan. 30 and later going to the hospital for chest pains, Suge Knight has once again been hospitalized. According to People, The hip hop mogul was appearing in court on Monday when he told Judge James Brandlin that he was nearly blind and had not received adequite medical treatment since his arrest. Knight reportedly said, "Since I have been here, I've lost about 30 lbs ... I can't really see. I can't really comprehend what's going on." Supposedly Knight claims to be blind in one eye and have 15 percent vision in the other. The Los Angeles Times reports that Knight, who is being held on charges of murder and attempted murder in connection with the hit and run, was in court to announce that he would no longer be represented by lawyer David Kenner. This is the third time Knight has been taken in for medical care since his arrest. In addition to being hospitalized for chest pains, Knight was also treated when he complained of stomach issues during a court session. We feel strongly Mr. Knight did not do anything wrong in this matter. He was attacked by a number of individuals; that has already been corroborated by certain witnesses. He left the scene because he was in fear for his safety and life.